There's no doubt that a need exists in the small business community for valuable HR services, Too often, small business owners try to juggle HR tasks either on their own or by relying on office administrators or family members to be the “back office.” While this approach may be sufficient for a company in the short-term, it doesn’t take long to realize that the complexities of HR laws and regulations, along with the need for employee-focused strategies, are critical to building a strong foundation for successful growth. A recognition of this need prompted Karen to start Infinity Road HR in 2013. Karen’s unique experience working with startups and emerging companies in the government contracting and technology industries has given her a deep understanding of the challenges that small companies face at each stage of the business lifecycle. As the former head of HR for Near Infinity Corporation, she was a partner in developing an award-winning corporate culture and employee programs which led to “Best Company to Work For” recognition in 2010, as well as numerous awards for workplace growth and excellence. Since starting Infinity Road HR, Karen and her team have helped dozens of clients create their HR strategies. In her spare time, she volunteers with her church and local high school athletic boosters, dabbles in photography, and spends quality time with family. She lives in Ashburn, VA with her husband Steve and their two teenage daughters. Marie Working is a Senior Human Resources professional with over 15 years of experience in HR consulting and implementation of various HR initiatives. Her areas of expertise include diversity, legal compliance, employee relations, training and development, benefits, and policy execution. Marie has both a formal degree and a strong interest in communications, and she enjoys building relationships with her clients to improve their communication skills, which effectively leads to increased employee satisfaction and productivity. Through a consultative approach, Marie partners with clients to identify, analyze, and diagnose issues and provides solutions for proactive and effective management. 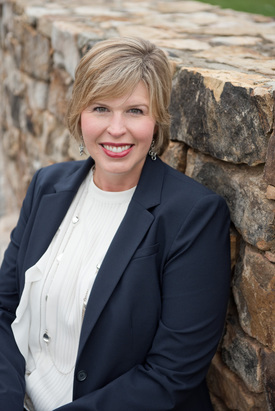 Marie has led executive leadership and employee training to include topics such as Diversity and Inclusion, Behavioral Interviewing, Coaching and Counseling, Performance Management, and Corrective Action. Marie holds a professional certification in Myers-Briggs Type Indicator (MBTI) and often combines the MBTI with the DiSC assessment to help teams communicate and collaborate more effectively. On most weekends, you’ll find Marie and her husband Geoff cheering on their two boys on soccer fields and basketball courts. In addition, Marie volunteers her time in her children’s school classrooms, local church, and is a frequent guest evaluator for GMU’s Ethics and Leadership course. Ready to meet your new HR team? Contact us.